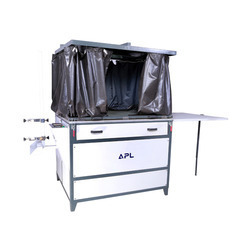 Leading Manufacturer of screen exposure, screen printing machine atom, roll to roll screen printing machine and atom flat screen printing machine from Faridabad. We are counted as the foremost manufacturer, importer, exporter, trader and supplier of Screen Exposure. Our offered screen exposure is well known in the market for its quality & performance. This screen exposure is accurately manufactured making use of leading technology and utmost-grade components accordingly with set industrial norms. We stringently test the offered screen exposure against various parameters before dispatching it to customers. We are specialized in manufacturing, exporting, trading, importing and supplying a broad collection of Screen Printing Machine ATOM. 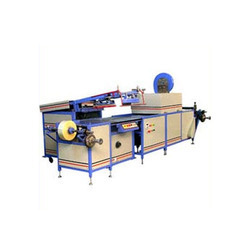 Our offered printing machine is available in various specifications as per the need of customers. 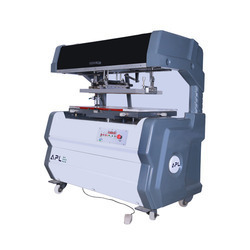 We offer this printing machine after checking it properly on numerous quality parameters. 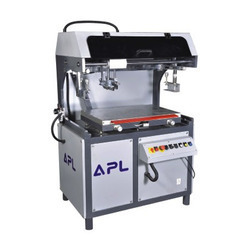 This printing machine is manufacture utilizing well-tested components according to the market defined guidelines. For the diverse requirements of our clients, we are engaged in manufacturing, exporting, trading, importing and supplying an exclusive array of Roll to Roll Screen Printing Machine that can print up to 20' width on plastic; the offered printing machine is manufactured in our ultra-modern manufacturing unit by using best quality components and high-end technology. This printing machine is extensively valued in the market for its excellent functionality.